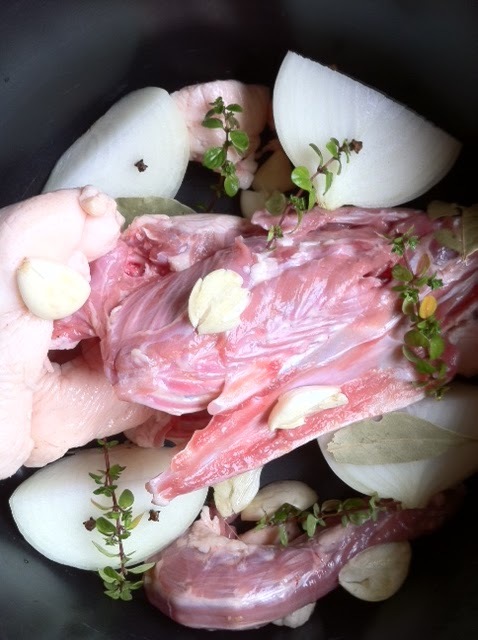 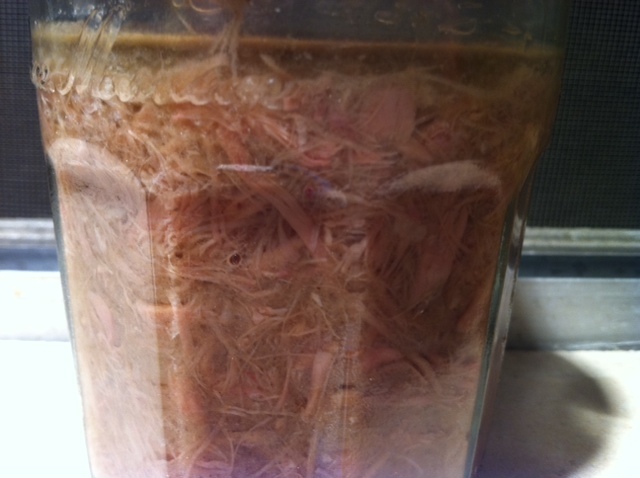 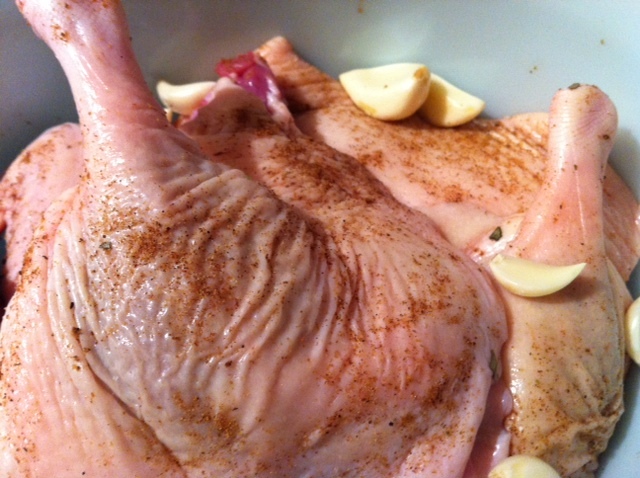 I want to make duck rillettes to give away for Christmas treats, but I have never made them before. 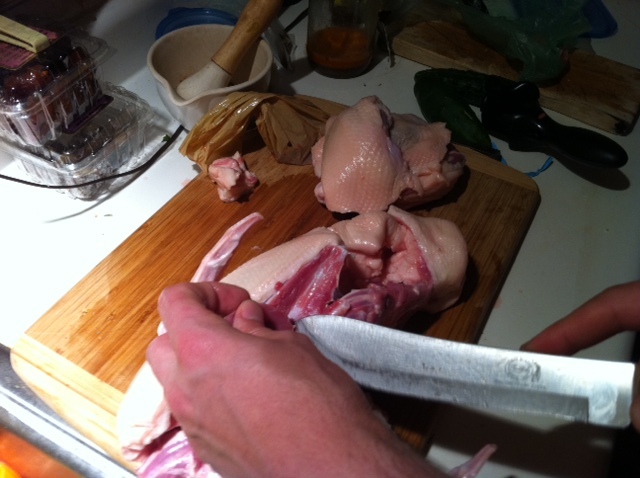 Thus, I needed to practice my duck-handling. 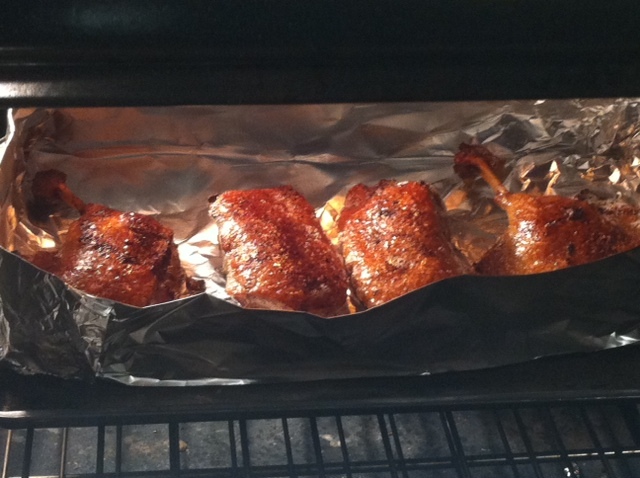 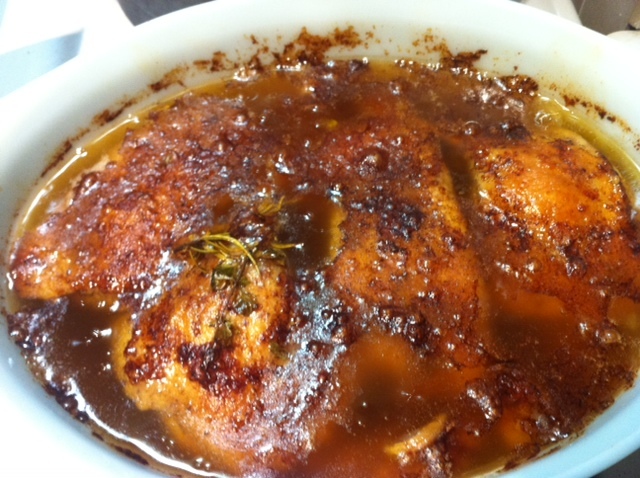 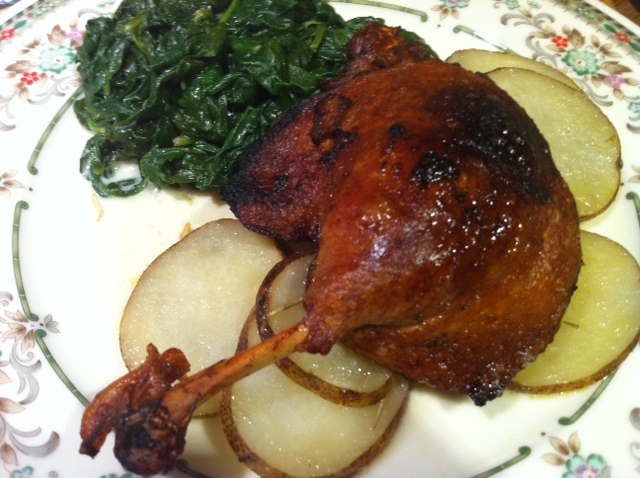 I scoured about 20 different recipes on duck confit and duck rillettes, before deciding on a Frankensteined version of recipes from Anthony Bourdain, Thomas Keller, and a couple of other chefs, and since Jules and his roomie LOVE duck, spent one weekend going all Julia Child on one large duck carcass.